President Muhammadu Buhari will leave the country tomorrow to join 50 other world leaders in the One Planet Summit in Paris, France. The summit, is jointly organised by the United Nations, the World Bank Group, and the French Government in partnership with non-governmental organisations concerned about reversing the negative effects of climate change. The summit holds at the eco-friendly La Seine Musicale, situated on the picturesque Seguin Island in western Paris. This was disclosed in a statement signed by the Special Adviser to the President on Media and Publicity, Mr. Femi Adesina on Sunday. The statement further stated that while recognising that all countries are affected by the effects of climate change under “One Planet,” some more vulnerable, the summit seeks for tangible collective action to reduce greenhouse gas emissions. Before heading for the Summit venue, President Buhari will attend a lunch hosted by President Emmanuel Macron of France for Heads of State and Governments at the Elysee Palace. “President Buhari and other world leaders and participants will make presentations under four sub-themes namely: Scaling-up Finance for Climate Action; Greening Finance for Sustainable Business; Accelerating Local and Regional Climate Action; and Strengthening Policies for Ecological and Inclusive Transition,” Adesina explained. He added that the participation of Nigeria’s delegation at the “One Planet Summit” will reinforce the country’s commitment to realising the objectives of the Paris Agreement. 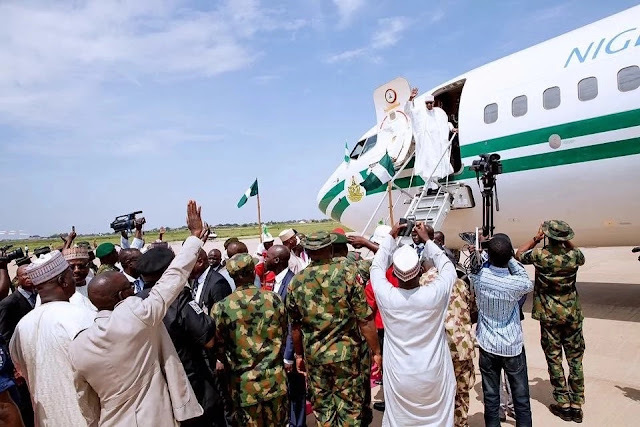 Buhari will depart for Paris on Monday in company of the governors of Adamawa, Kano and Ondo States, and the Ministers of Foreign Affairs and Environment. 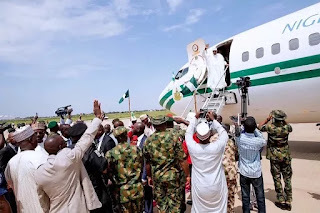 He will return to Abuja on Thursday.